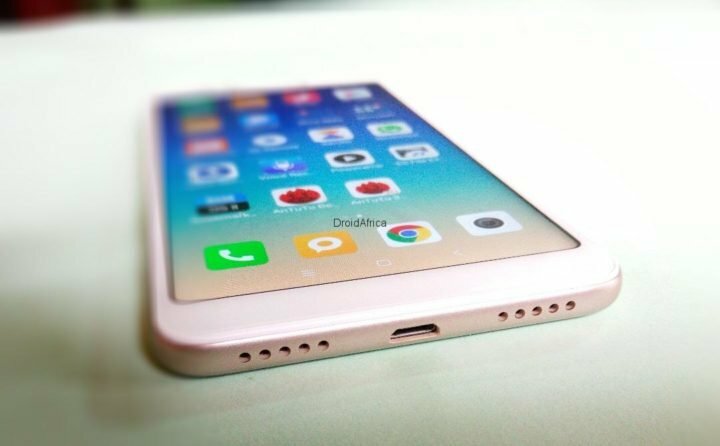 So, Xiaomi Redmi 5 has been around for sometimes now, and it is interesting that the device is coming to me for review within the Val season. 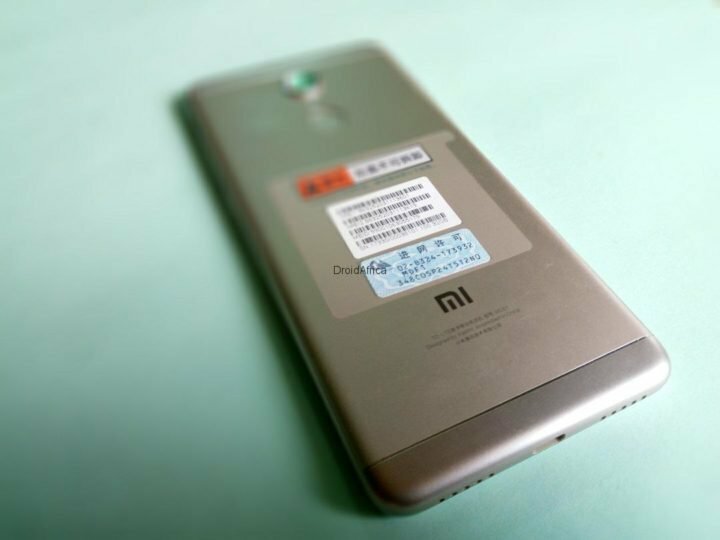 So in this article, I’ll be unboxing the Xiaomi Redmi 5 and I’ll also run some performance tests using Antutu app. So let get to work with the Xiaomi Redmi 5 Unboxing Review and performance Benchmark Tests, then details of the Africa Giveaway will follow at the end of the post. 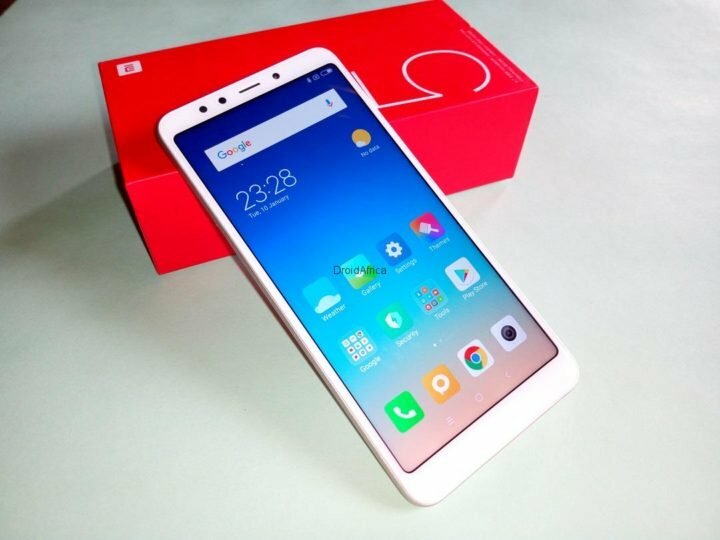 The Redmi series has been Xiaomi’s mid-range smartphones with great specs and yet, pocket friendly price tag. The device have maintained a consistent price tag since the Redmi 1, although, with few series alterations here and there. 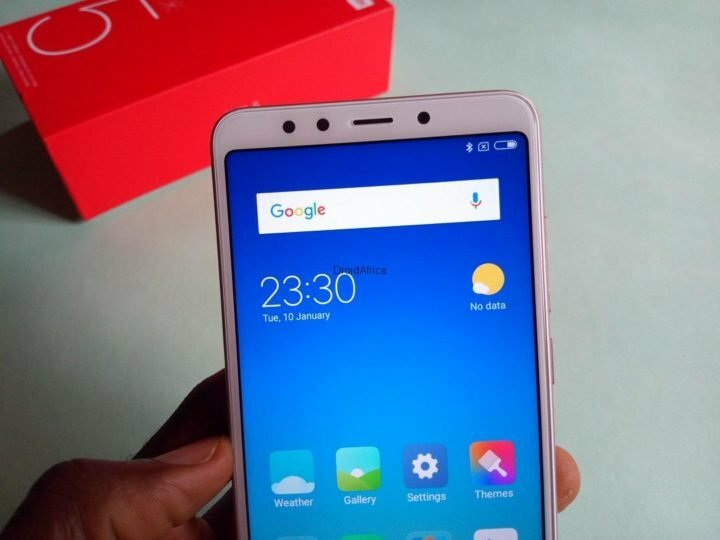 However, one thing that has not remained consistent with the Redmi series since inceptions is the design and of course, specifications, and the Redmi 5 is not an exception. The device boost the all new and trending 18:9 Full Vision Display with HD+ (720 x 1440) resolution. Infact, the Redmi 5 and the Redmi 5 Plus, is Xiaomi’s first smartphone to pack Full Vision display. 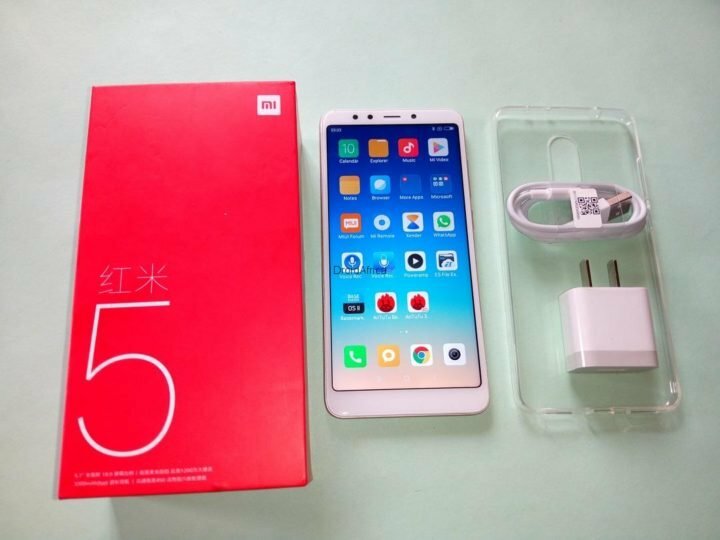 The Xiaomi Redmi 5 came in a very thin and compact red and white box. Ok, now let me tell you the truth, the box have few texts, but guys, the only thin I could read is the MI logo and the big 5 at the front of the device. The rest is Chinese. At this point, I wasted no more time on the box, and went straight into the box. When I opened the box, I thought the Redmi 5 smartphone was the first thing I was going to see, but no, it wasn’t. The first thing I saw was a white beautiful pack, hosting a TPU silicon case. After taking it out, then…there it was…a Golden-colored Xiaomi Redmi 5 smartphone with white front panel. The Redmi 5 is available in four colors; Rose Gold, Black, Light Blue and Gold which is the unit we have. 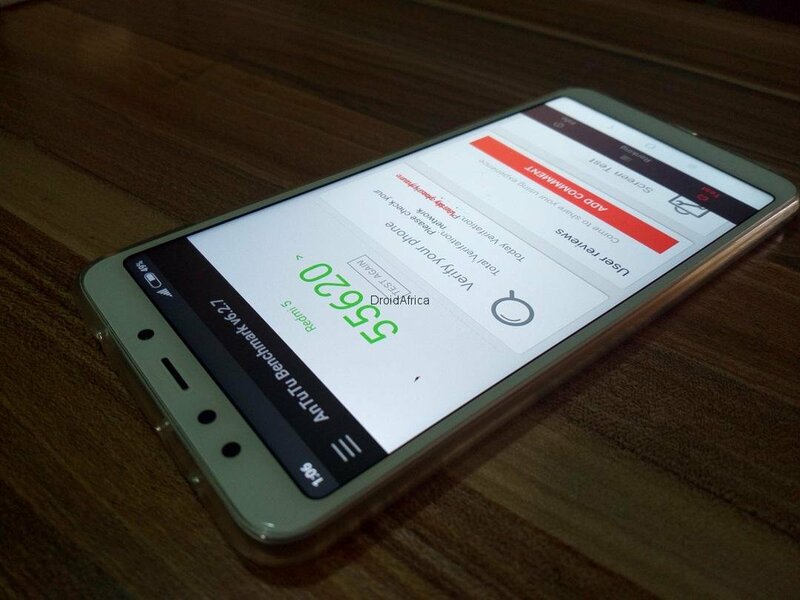 The device packs a 5.7-inch IPS HD+ (720 x 1440) display, resulting to about 280 PPI. The use of an 18:9 aspect ratio makes the Redmi 5 to stand entirely different from all previous Redmi series. In reality, the display is surprisingly crisp and bright. Onscreen text and Icons are sharp, and viewing angles too are great. Although icons don’t appear painted on the screen like those on high-end smartphones, but who will complain about a display such as this on a sub 100 dollars smartphone? Above the display is a 5-megapixel selfie camera and a notification LED kept on one side, the speaker grill at the middle and the front facing soft light and ambient sensor to the other side. The right hand-side carries the power button and the volume rocker. There is a 3.5mm audio jack, the secondary mic and an IR blaster at the top, while at the base of the phone, there are dual speaker openings, but with a single speaker, USB 2.0 port and the primary mic. The Hybrid nano-SIM slot is kept to the left hand-side which can host either 2 nano-SIMs and No-SDcard, or can a single Nano-SIM and a 128GB SDcard at same time. 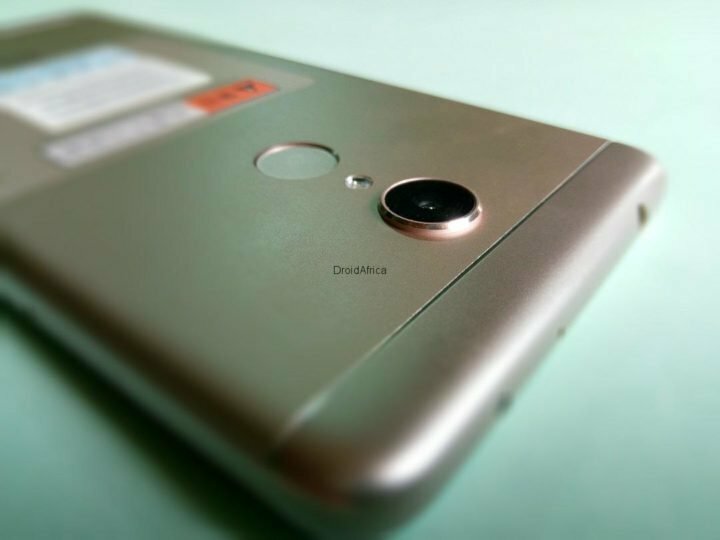 At the back, there is a protruded 12-megapixel main camera along with a very bright single LED flash and a fingerprint sensor below it (more details about the camera in the full review). 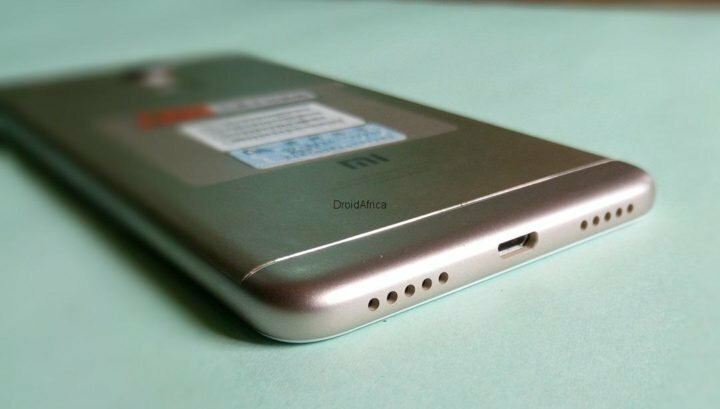 Xiaomis’ logo and some registries are kept towards the base of the back panel, with network antennae beautifully hidden at the top and base chin of the device. In all, I am very satisfied with the built quality of the Xiaomi Redmi 5. The smartphone is light-weighted with great display, volume rocker and the power button return such nice and soft feedback, the loud speakers produce rich and loud sounds, and when compared to some mid-range smartphone like the Tecno Camon CM, this device is a slayer. But more on that in the Full Review. As far as hardware goes, the unit we have is got a Snapdragon 450 Octa-core processor clocked at 1.8Ghz, along with 3GB of RAM and 32GB internal storage(There is also a 2GB/16GB memory version). The software department is controlled by Xiaomi’s proprietary MIUI v9.2 based on Android 7.1.2 (Nougat). Till date, MIUI remains my best Android alternative with it heavy, yet light-weighted customization. Setting up the device was not an issue at all. The version we have came from Gearbest, and the OS is the international Version of MIUI v9, so all languages, regions and time zones are in place. I put the device through Antutu Benchmark and got some impressive scores above 50k. Now, I’m going to put this device into full use, and I will share my detailed experience with you in a full review, and if there is a particular part or area of the device you want me to test, or a particular app you want me to run, please do let me know in the comment section below. I was just thinking; how much would this device have cost supposed it a Samsung or LG, or even a Tecno product? Probably $200 or even more. Anyway, the Xiaomi Redmi 5 is available international with pricing starting from just $127 for the 2GB RAM and 16GB internal storage option, the higher 3GB RAM and 32GB internal storage will set you back for $145. and you can get it right now via the link below. Got my unit from Gearbest, and it was delivered just within 5-days.